Pooya introduced the Biometric Signature Pad to eliminate paper from daily bureaucracy. This product consists of a small digital display tablet and a special pen. 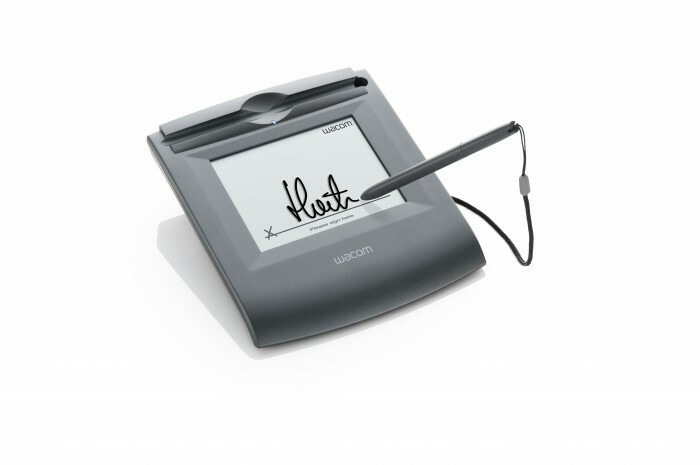 Since the digital tablet is of a biometric type, it is capable of capturing the form of a signature as well displaying it as an image file (for the use of other systems).It can also capture the pressure, acceleration, and velocity of the pen’s movement on the signature pad during the signing process which is used to identify customers.